The Bali Bird Park is a sanctuary for nearly 1,000 birds, including one of the world’s rarest, the almost wholly white Bali starling. The park is set within a 5-acre (2-hectare) botanical garden featuring more than 2,000 tropical plants and an amazing array of butterflies. Interact with the birds as you walk through large aviaries that replicate their natural habitats. The park’s 250 bird species are arranged in regions. In the South American aviary, spot famous tropical birds such as the scarlet macaw and toucan. Walk through the Sumatran jungles section, home to cassowaries, serpent eagles and Javan hawks. By the lake, watch cranes, storks and pelicans. The park has one of the world’s largest collections of birds of paradise, so don’t miss the opportunity to see these magnificent creatures. In the wild, these birds are only found in the jungles of Papua New Guinea and some surrounding islands, and in small parts of Australia. During your visit to the park, you might also spot another creature rarely seen in the wild, the mighty Komodo dragon. The park also features research and breeding programs. Children will love the bird nursery. Look through the observation windows and see baby birds in incubators stretching their wings for the first time. After your visit, have a bite to eat at the park’s restaurant, which opens onto the tropical gardens. Allow at least two hours to visit the Bali Bird Park. Don’t forget to bring your camera as the park is filled with photo opportunities. There is a souvenir store and the park has wheelchair and baby-stroller accessibility. Children under 2 years of age enter free. 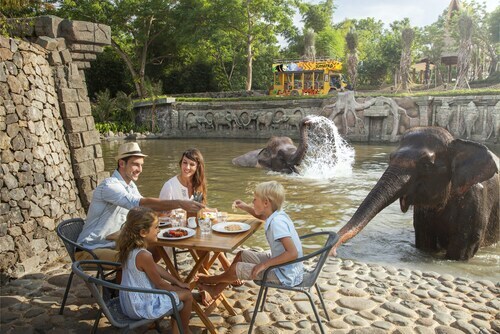 The park is open daily, except on the Hindu New Year, known as Nyepi Day, in March. 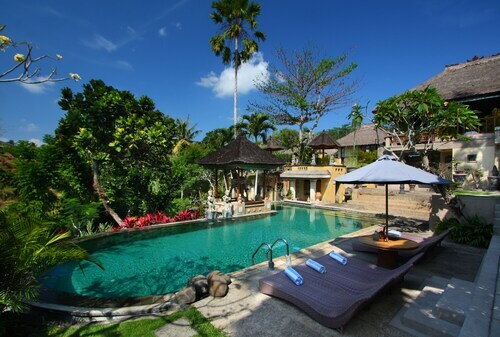 It is located in Singapuda, between Kuta and Ubud, northeast of Denpasar. To get there, hire a local driver or take a taxi. Another option is to take the local bus from Batubulan terminal. Bali Bird Park with Relaxation Time at Halo Bali Spa is just one of the best activities available here. If you're chasing even more activities, take a look at our Sukawati things to do page. Situated in Batubulan, this hotel is 1 mi (1.6 km) from Bali Bird Park and 1.5 mi (2.4 km) from Bali Zoo. Sanur Beach and Bali Orchid Garden are also within 6 mi (10 km). 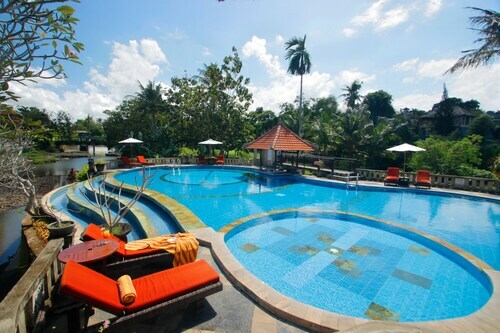 Situated in Penatih, this hotel is 1.4 mi (2.2 km) from Bali Bird Park and 2.5 mi (4.1 km) from Bali Zoo. Sanur Beach and Puputan Badung Square are also within 6 mi (10 km). Situated on the riverwalk, this spa villa is 3 mi (4.7 km) from Bali Bird Park and within 6 mi (10 km) of Sanur Beach and Bali Zoo. Puputan Badung Square and Bali Orchid Garden are also within 6 mi (10 km). Situated in a national park, this luxury hotel is 0.5 mi (0.9 km) from Bali Zoo and 2.2 mi (3.5 km) from Sukawati Market. Tegenungan Waterfall and Ubud Traditional Art Market are also within 9 mi (15 km). This family-friendly Sukawati resort is located on a river, within 3 mi (5 km) of Bali Zoo, Sukawati Market and Bali Bird Park. Tegenungan Waterfall and Ubud Monkey Forest are also within 6 mi (10 km). 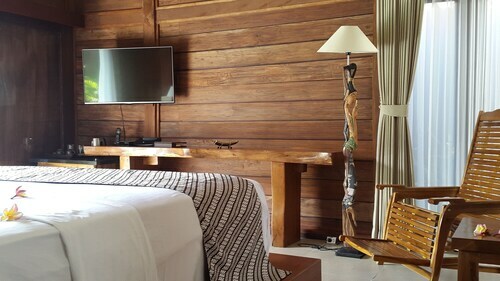 This family-friendly Batubulan hotel is within 3 mi (5 km) of Bali Bird Park and Bali Zoo. Bali Orchid Garden is 2.3 mi (3.7 km) away. 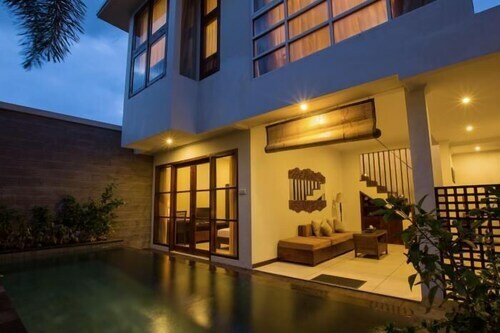 Situated in Sukawati, this villa is 1.1 mi (1.7 km) from Bali Zoo and 1.8 mi (3 km) from Bali Bird Park. Ubud Monkey Forest and Ubud Traditional Art Market are also within 6 mi (10 km). 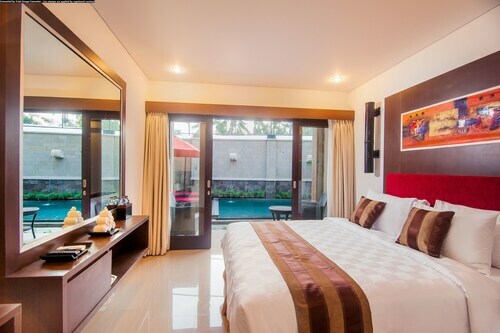 Situated in Sukawati, this villa is 1.2 mi (1.9 km) from Bali Zoo and 2.1 mi (3.3 km) from Bali Bird Park. Ubud Monkey Forest and Ubud Traditional Art Market are also within 6 mi (10 km).